When the temp drops below zero, this set will help keep out the frigid cold. A cute hat, scarf and wristers cover the parts of you most needing protection. Stylish and functional, this set keeps you looking good and warm. 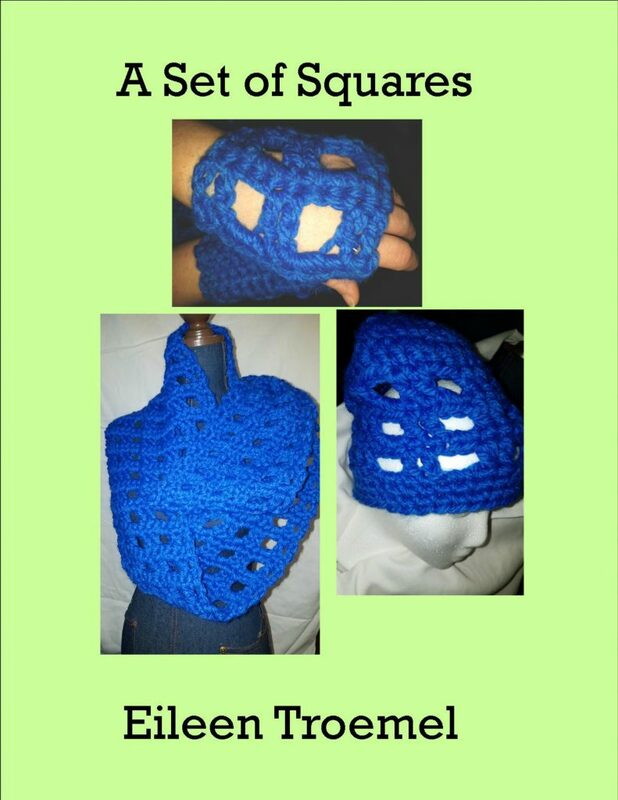 Squares done three ways to create a love set including a hat, scarf and wristers. The large pattern provides warmth in the winter. Featuring a square repeat, this set provides style. 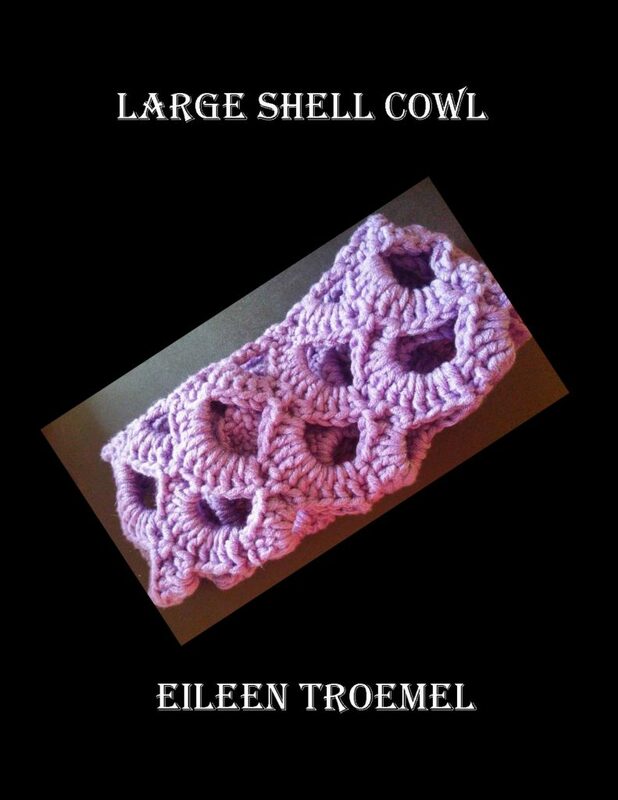 Easy to make from the soft, large yarn, the pattern is simple but stylish. Is it cold out? 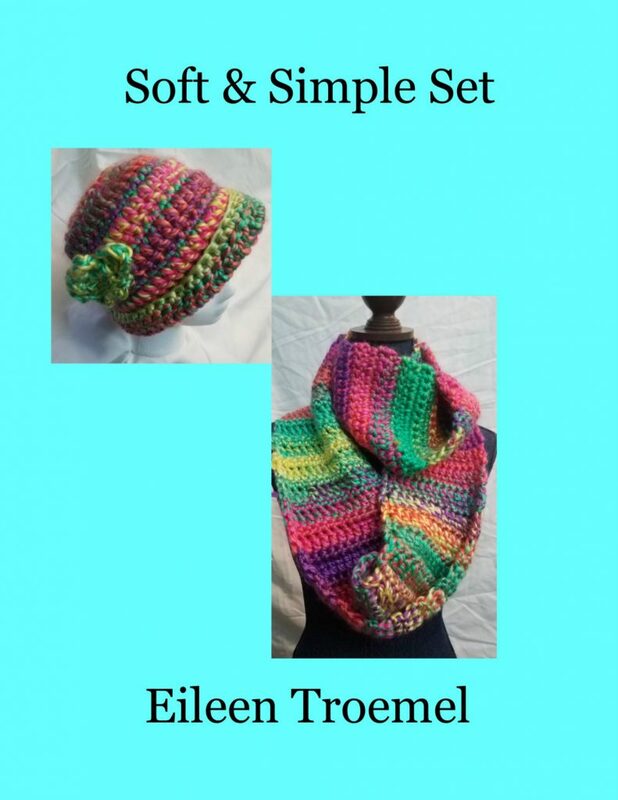 Here’s a hat and scarf set which works up fast and is soft and beautiful. Made with a large hook and chunky soft yarn, this hat and scarf set is the perfect pattern for a beginner. 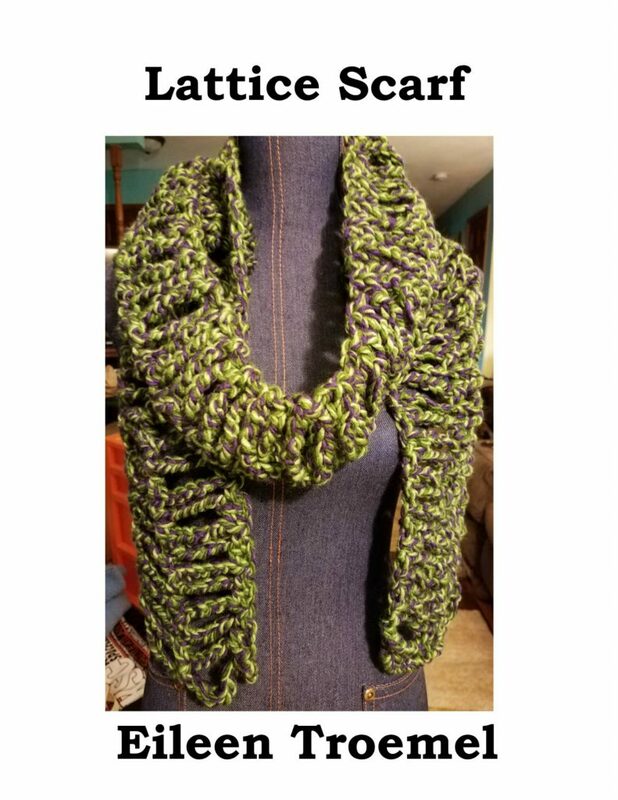 It works up quickly and creates a soft, beautiful scarf and hat. Light weight and delicate, this scarf is great for warmer regions and warmer weather. 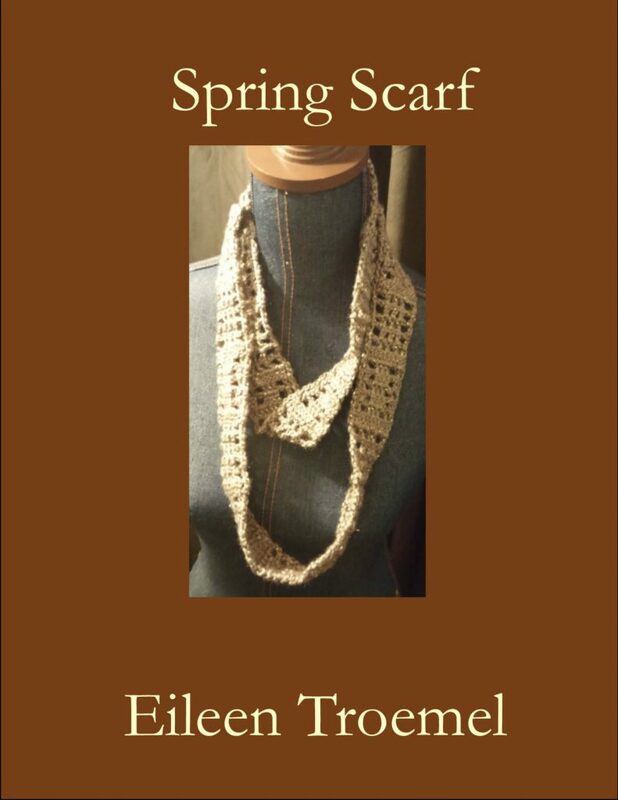 Using baby yarn, the pattern and the yarn create a delicate and beautiful scarf for decoration while still providing warmth. 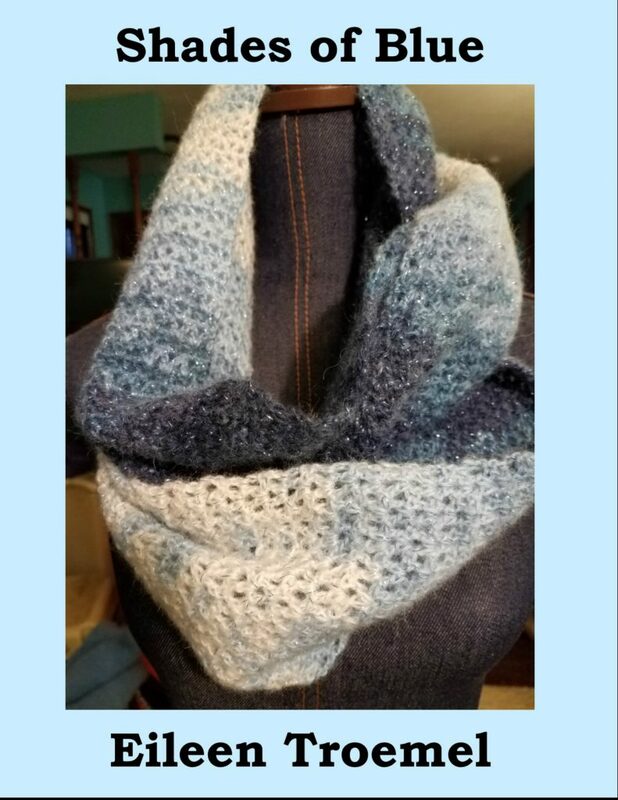 It can be made three ways – cowl with buttons, traditional scarf and as an infinity scarf. Light weight and delicate, this scarf is great for warmer regions and warmer weather. 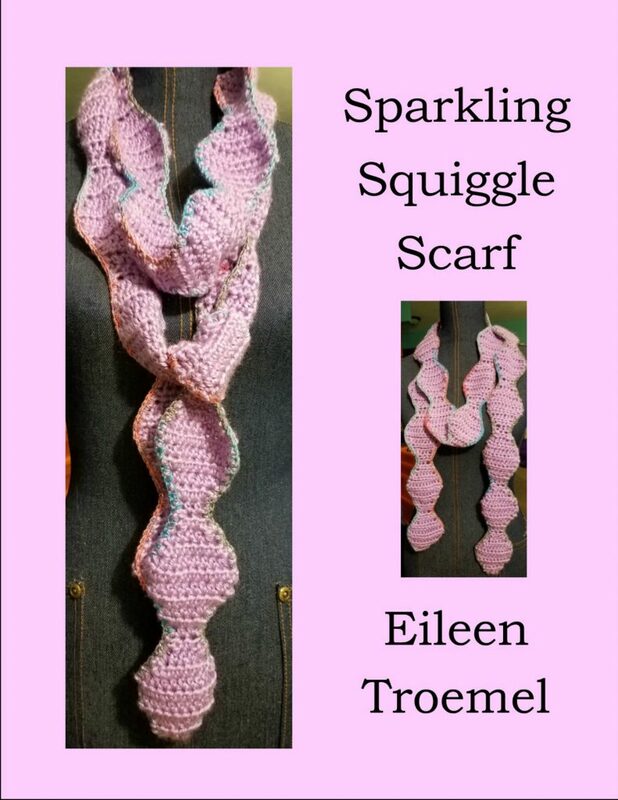 Using baby yarn, the pattern and the yarn create a delicate and beautiful scarf for decoration while still providing warmth. Winter in Wisconsin is cold. Small narrow scarves just don’t keep you warm enough. This woven winter scarf is long and wide to be able to keep out the cold. 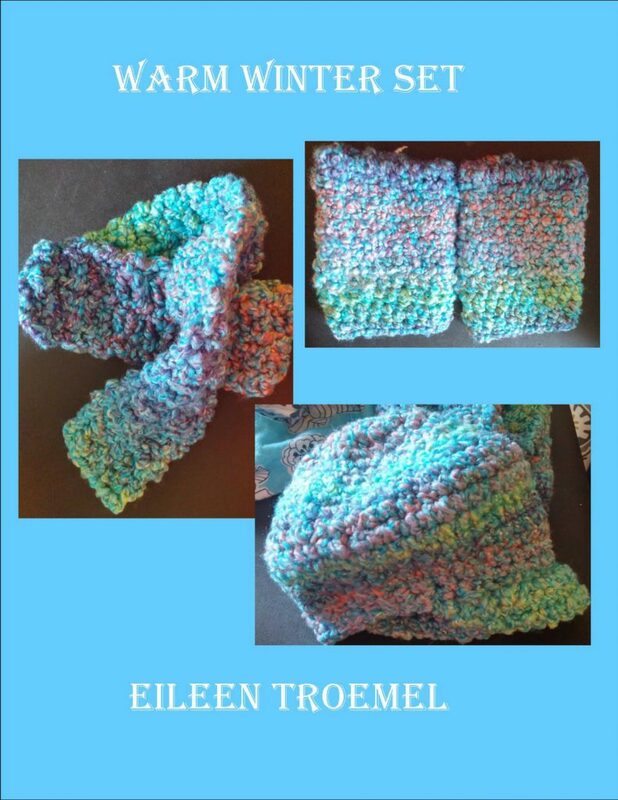 Made with worsted weight yarn, it is warm, simple pattern easy enough for the beginner to use. 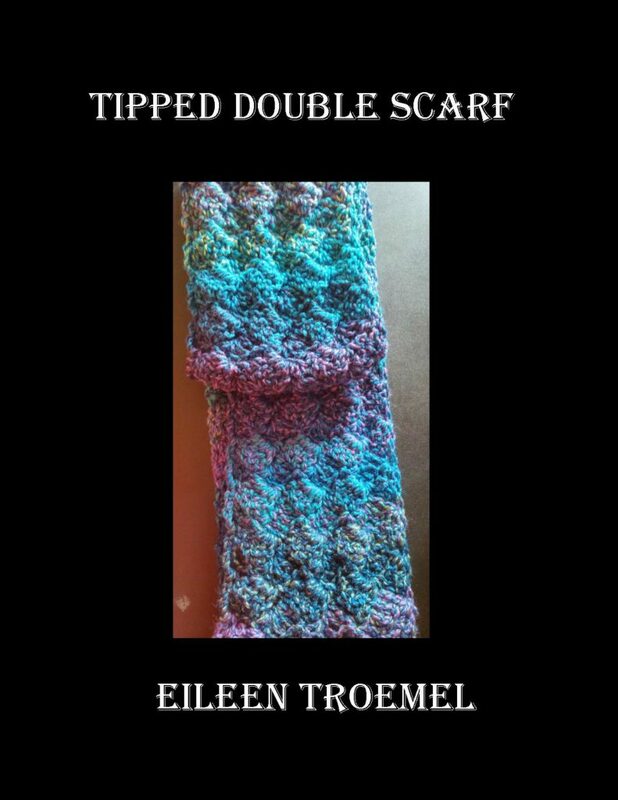 A great pattern for a beginner, tipped doubles uses chains, single crochet, and double crochet to create a beautiful scarf. This is a great pattern to show off a variegated yarn as it highlights the yarn. Offering two looks, the bobble scarf is soft with a lot of texture. The front features the bumpy bobble and the back smooths out the roughness of winter. For the beginner, this pattern is easy to assemble while offering a stunning end product. 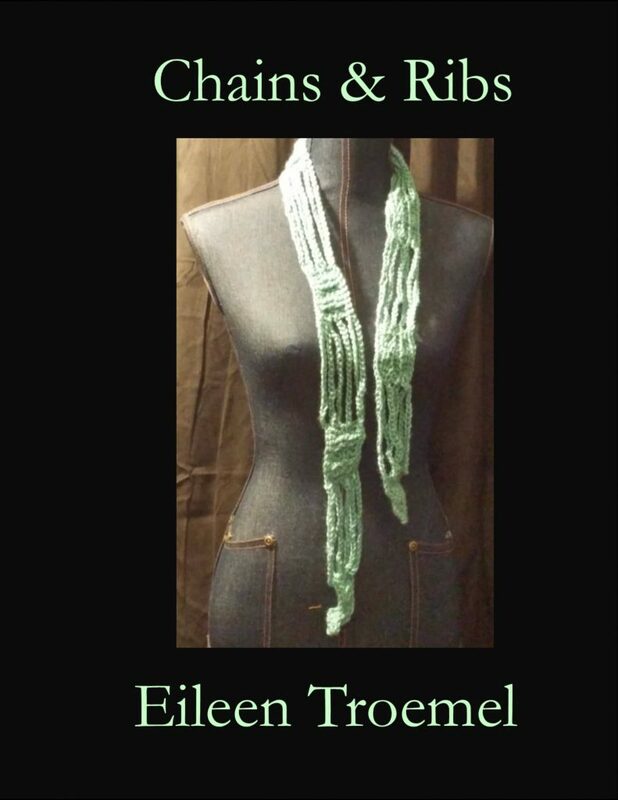 The chain group weaves into a braided look for this extra long scarf. 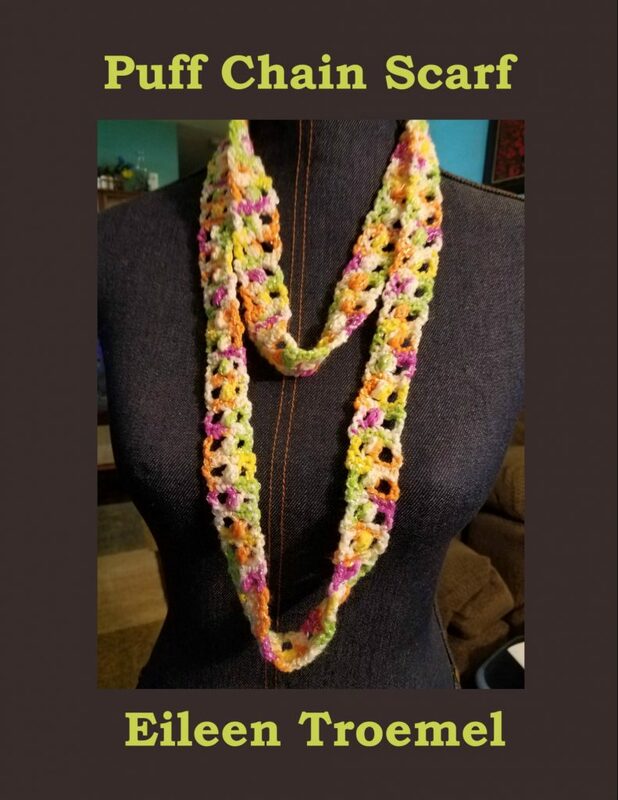 Luxurious and warm, this scarf is easy to make and beautiful. Made with soft, luxurious yarn, this infinity scarf will keep you warm through the coldest of winters. 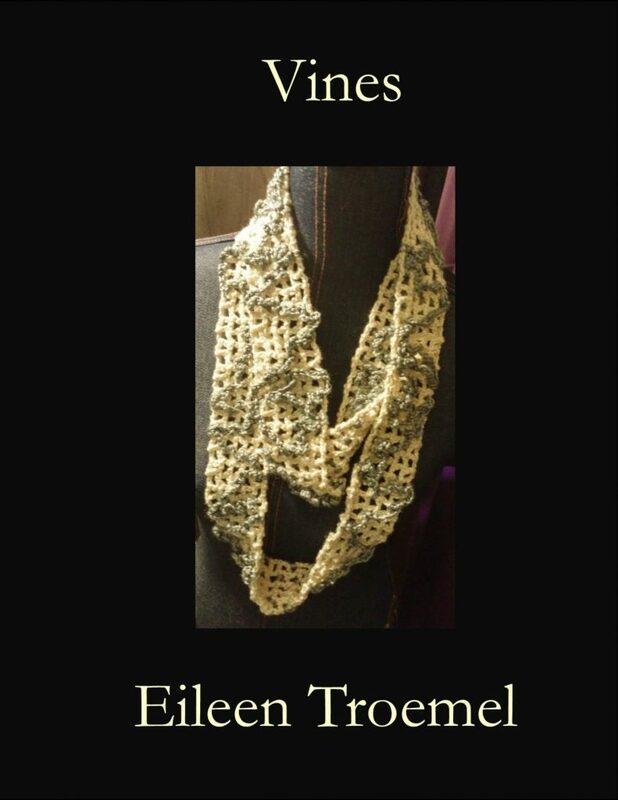 Climbing Vine scarf is a great beginner project. It’s soft and warm to keep out the winter’s chill. The yarn is beautiful creating a delicate and soft accessory. 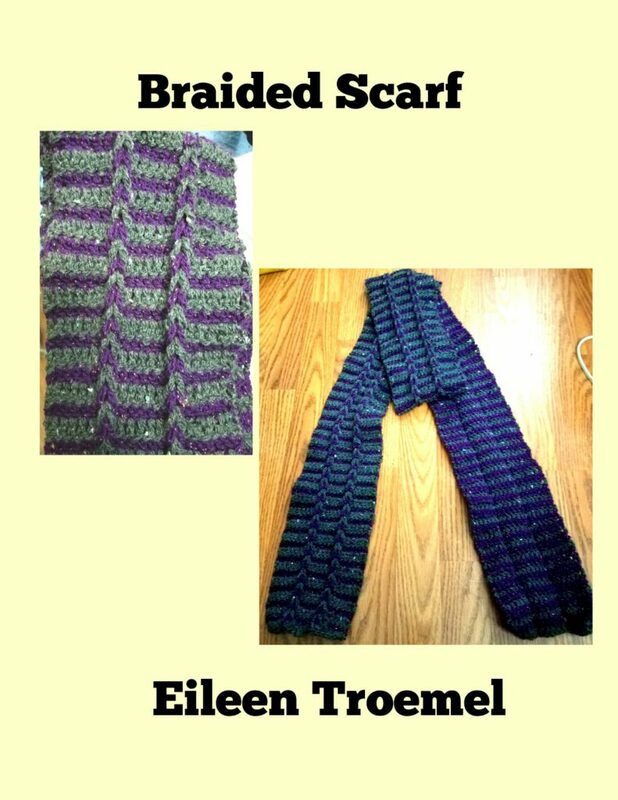 With tilted double crochets, this scarf and pattern highlights a variegated yarn. 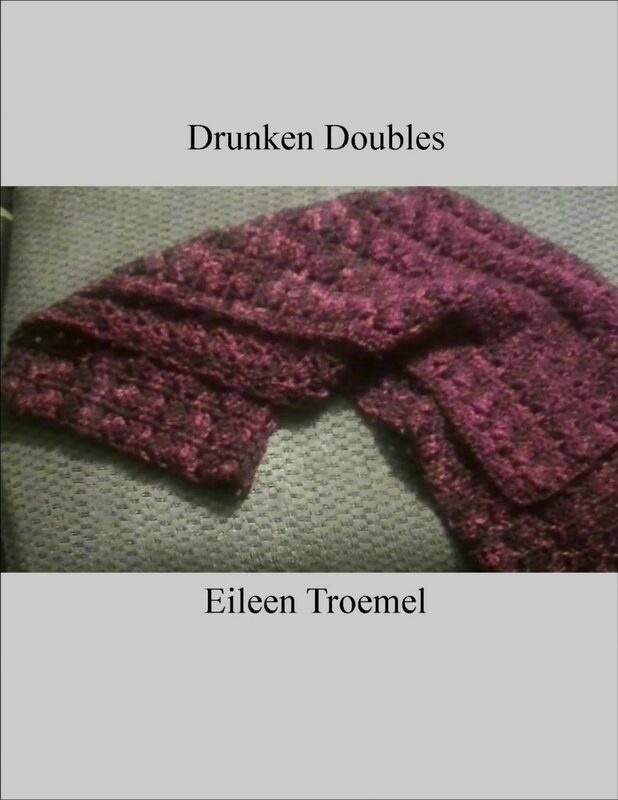 It shows off with a little bit of drunkenness the pattern of the yarn while still being a little fun in the pattern. It works up quickly and can be done in three styles – cowl, standard scarf and infinite. This freestyle pattern allows lots of flexibility. While made with two colors in this picture, it could easily be adapted to more colors. 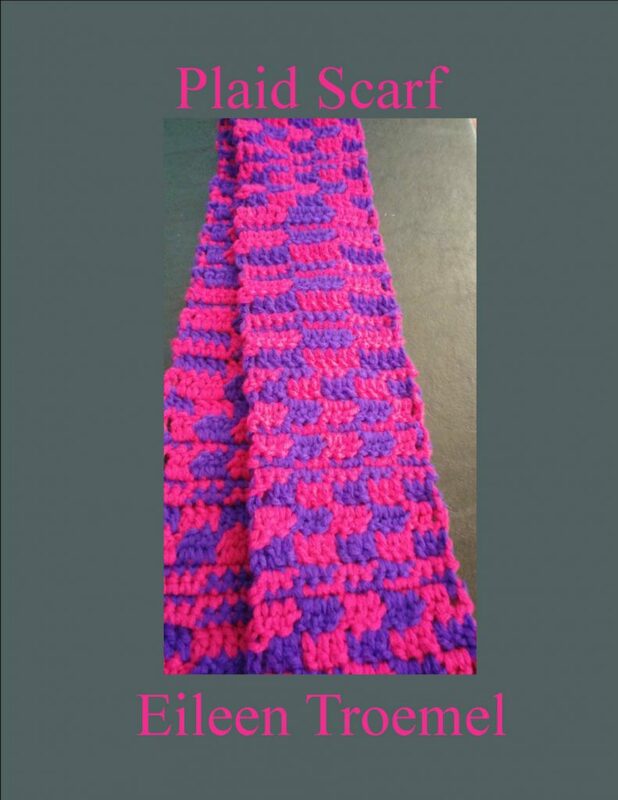 The plaid pattern can be worked randomly or with exact precision and repeats. 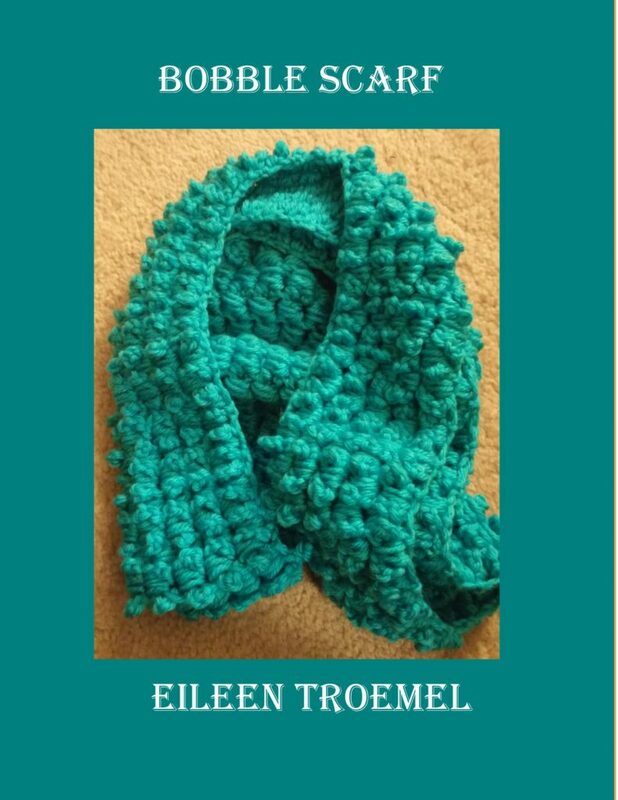 This pattern is great for a beginner who wants to practice the basic stitches of single and double crochet. Heavy duty scarf meant for the cold winter but still decorative. 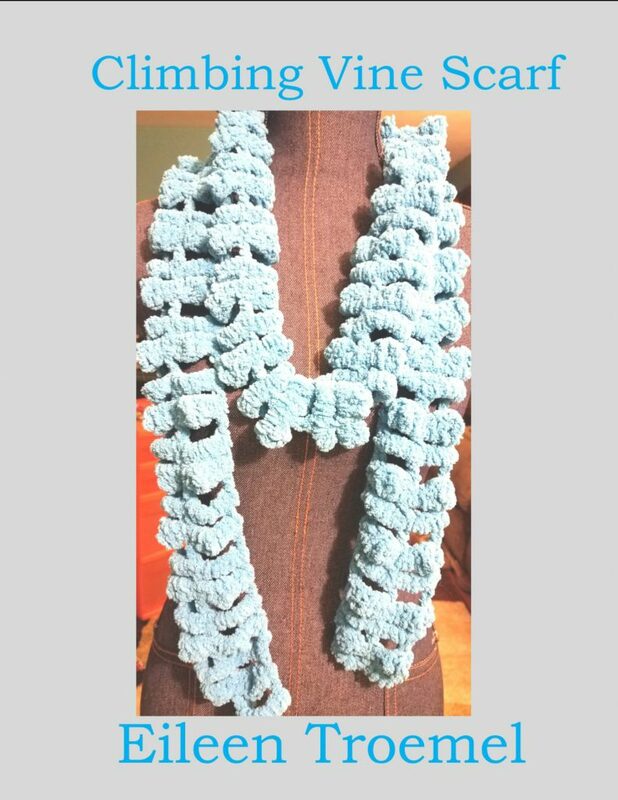 This scarf is simple to make for any level crocheter. 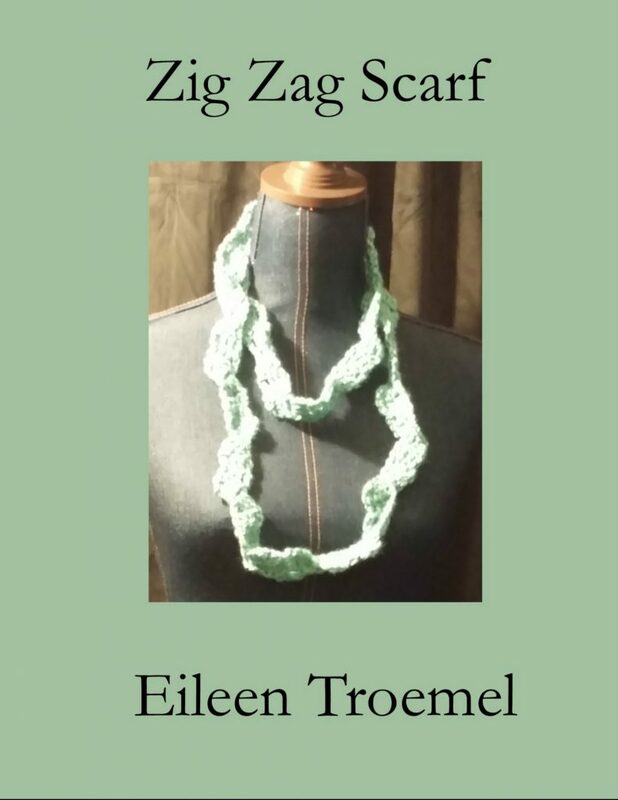 A light scarf, small lacy and vibrant. It may be small but it packs a punch. This accessory will brighten any outfit. Made from Mohair, this shaded infinity scar offers a range of colors and plenty of warmth. It looks light and airy but is warm and comfortable. 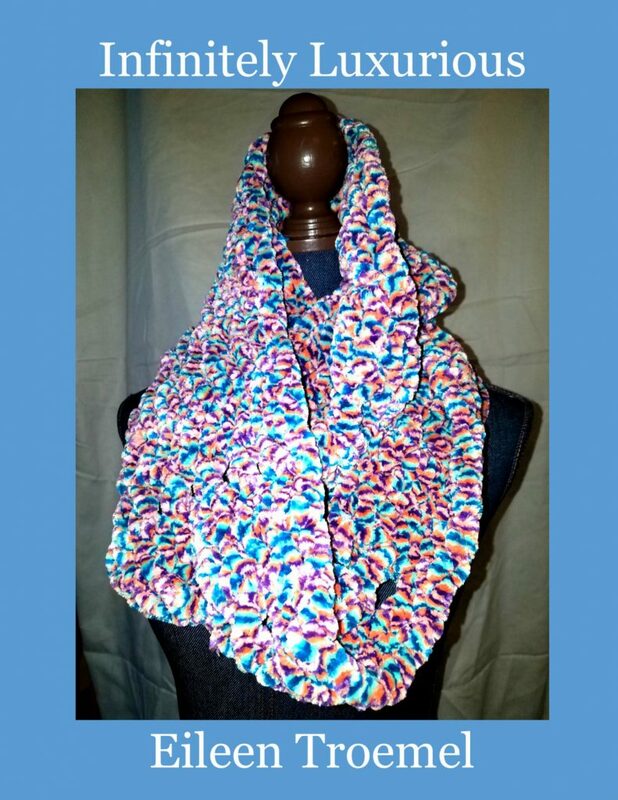 Soft and fun, this scarf has a little bit of everything. It sparkles. It’s warm. It’s fun. A beautiful accessory for the cooler fall and early winter. Graphically different, this scarf is a wonderfully light and fun. 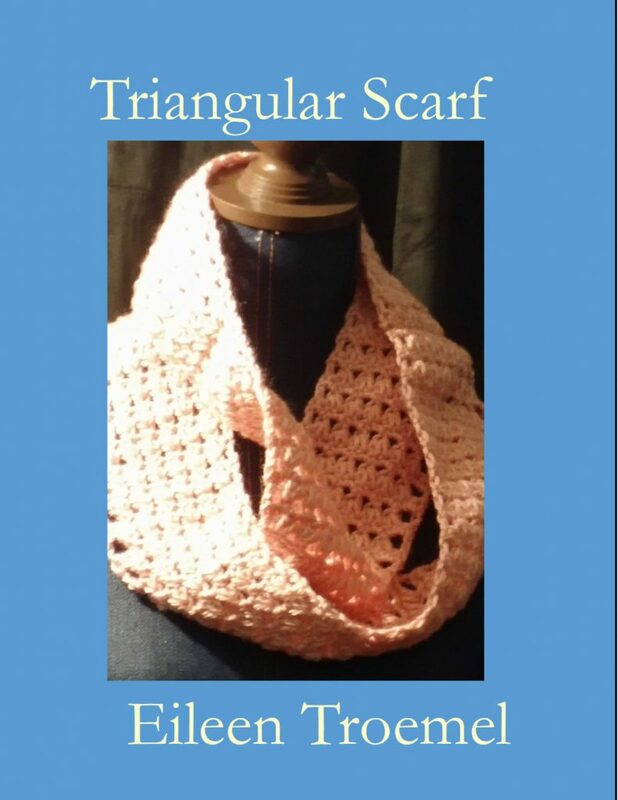 A quick pattern, this scarf can easily be made in an evening. 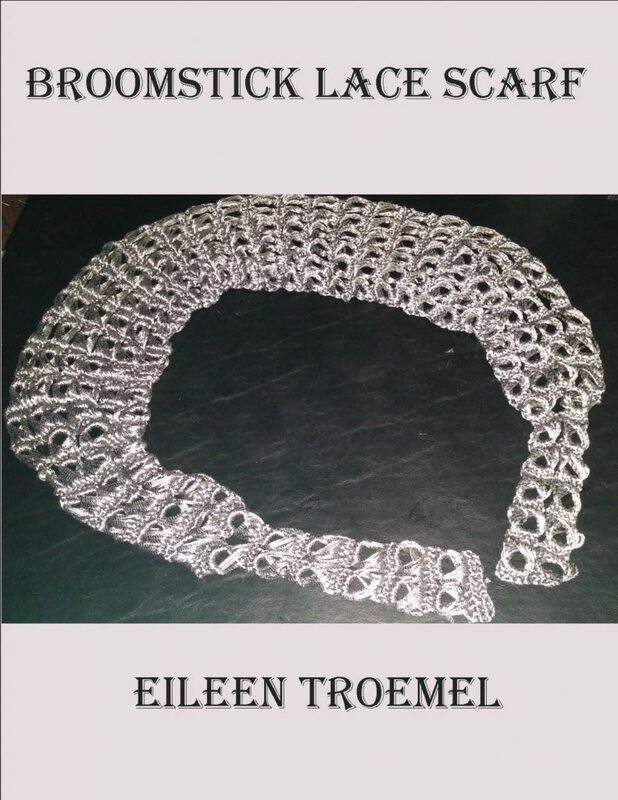 Broomstick lace is worked with both a large knitting needle and crochet hook. 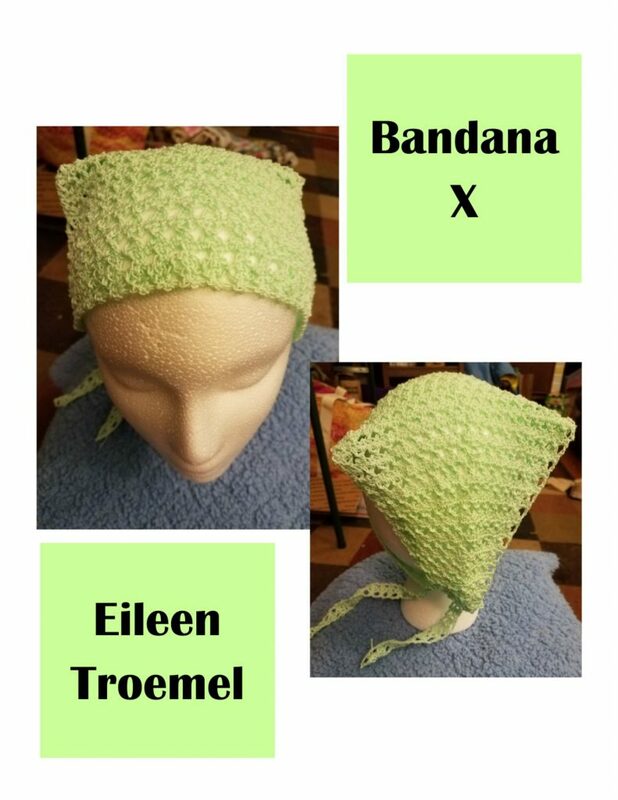 Worked in a two row sequence, the pattern works up quickly to create a lovely lacy pattern while still having some of the traditional crochet aspects. Infinitely soft and beautiful, this scarf is great for all seasons. 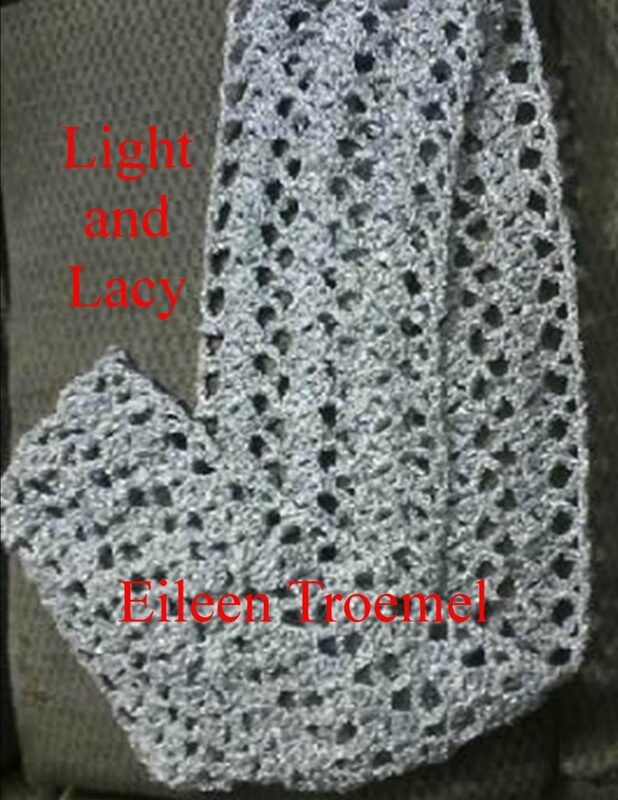 A pleasant light scarf made to accent any outfit. 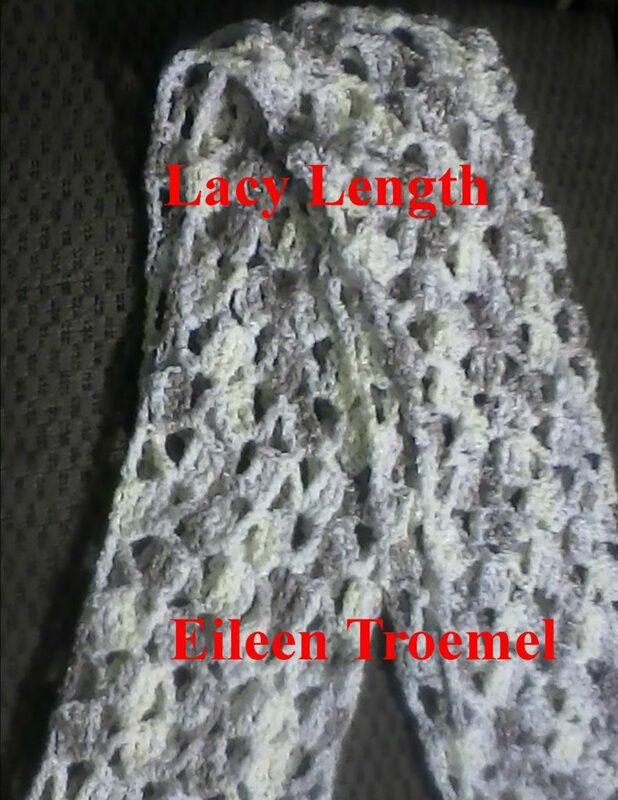 Soft and light, this scarf is a lovely neutral accent to any outfit. It’s a quick project easily made in an evening. 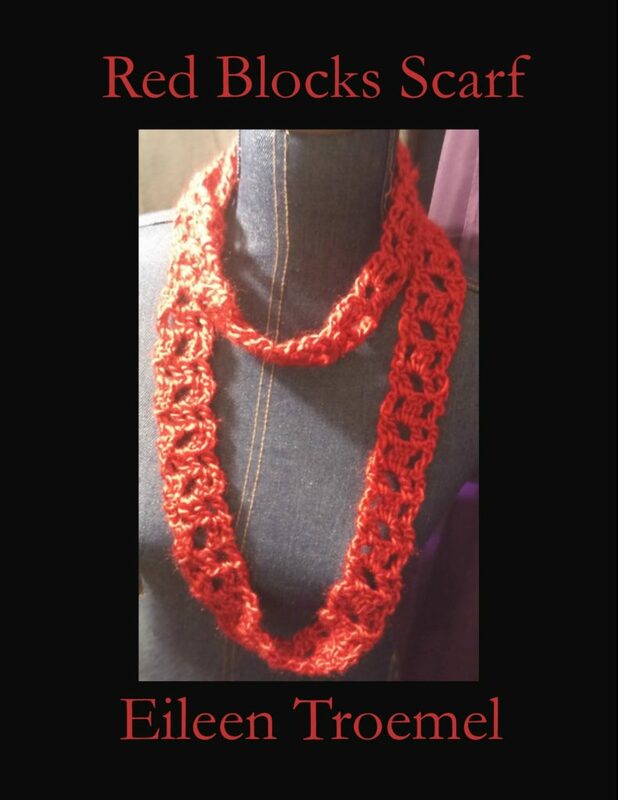 Simple and stunning, red blocks scarf captures your attention while being soft and vibrant. Bamboo silk is sleek, smooth, and soft. This scarf is light and sensual to the touch while being beautiful. Neutral colors go with any outfit. Thick and warm while still being soft and beautiful, this cowl will keep you warm and stylish. The cowl takes the place of jewelry, while providing warmth in the winter months. Playing with stitches, this experiment is a delightful creation which offers warmth in winter and a pop of color. The triple crochet makes the pattern work up quickly for an evening project. 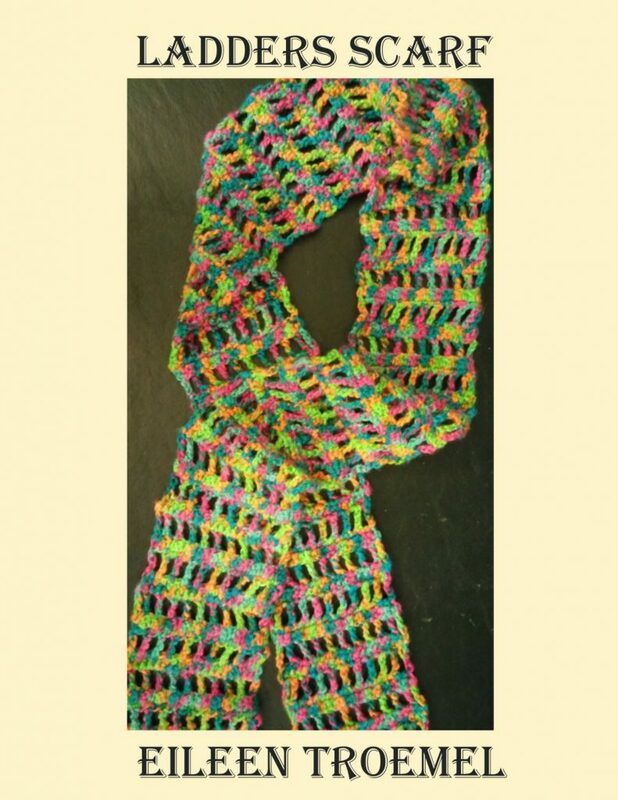 ​Perfect for warmer weather, this scarf is fun, airy, and unique. 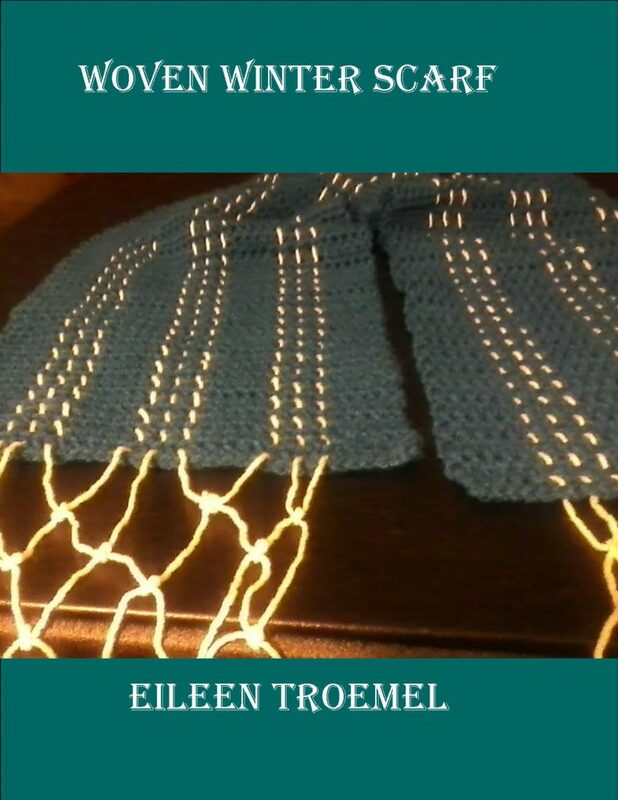 Simple stitches create a light and beautiful scarf. Yarn is soft and silky. The scarf adds a perfect accent to any outfit. 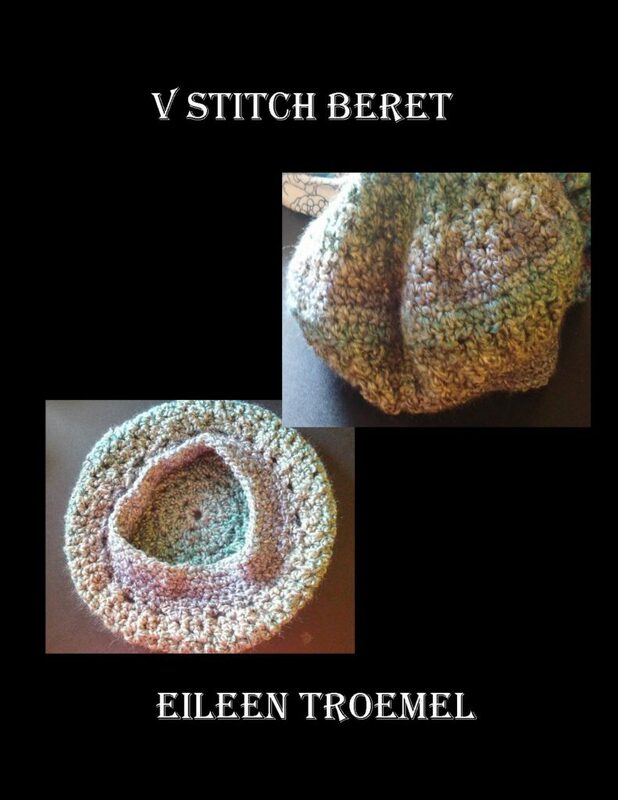 A fast and fun beret, made with beautiful soft yarn. This project won’t take long to make and will be a hit for winter. The V Stitch highlights the yarn’s colors and texture to create a lovely piece. Do you like the crocodile stitch but hate the sequence of rows? Here is a way to create the crocodile stitch in one row. 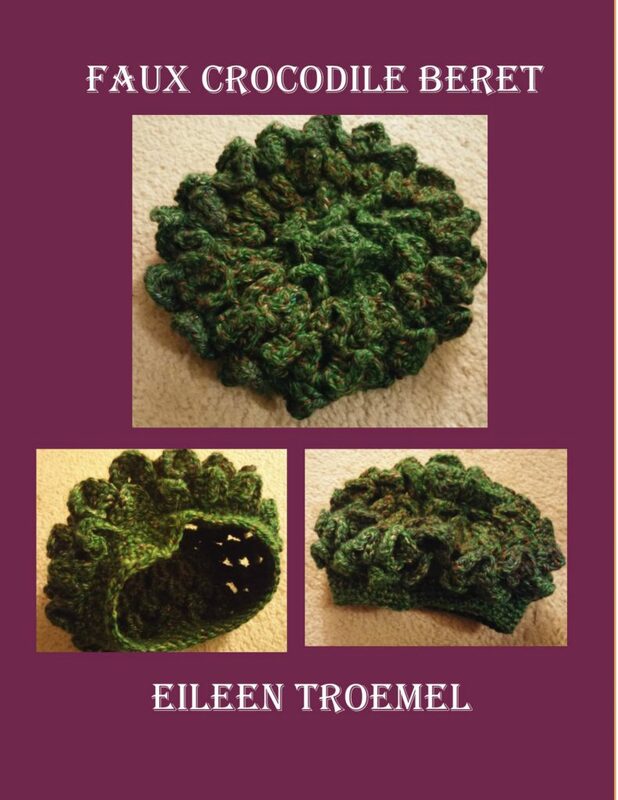 This beret is stylish and beautiful. It is a statement while still being practical and warm. Warm and practical with a bit of fun, this two tone cap is great for cold weather. Made with Caron Simply Soft Party, it sparkles and glitters while being soft, luxurious and warm. Need a warm cap? 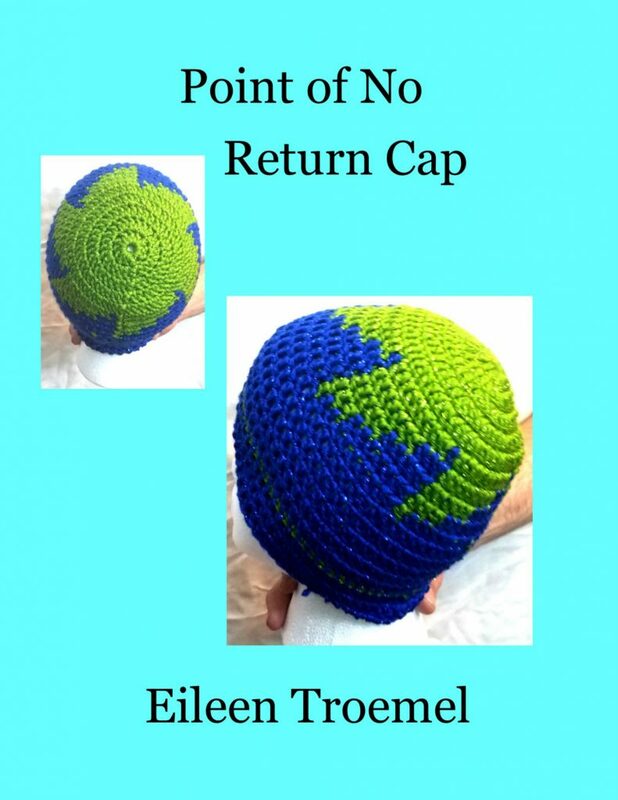 Two skeins of yarn and a couple hours will net you a lovely cap. Caron Simply Soft Party is a soft and warm yarn with a bit of sparkle. 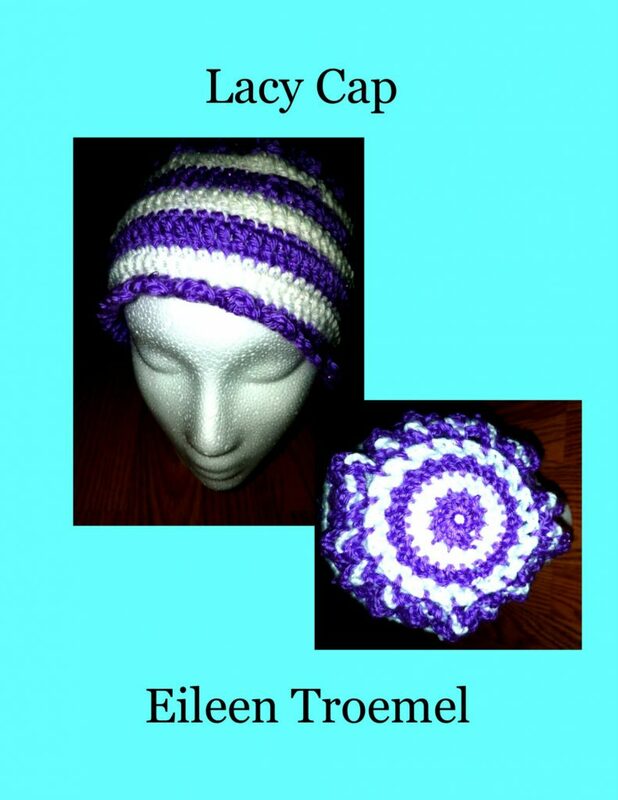 Used to create this hat, it creates a lovely and warm hat for any occasion. 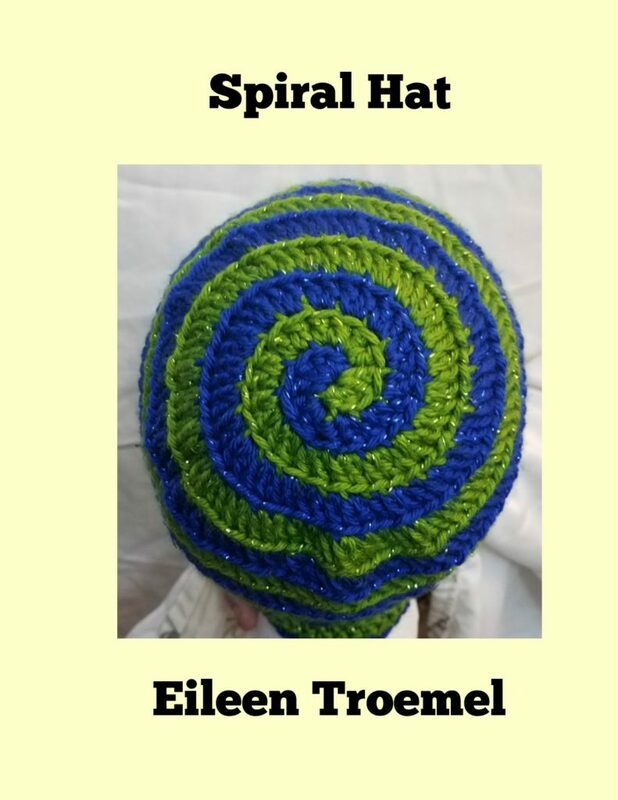 This pattern works up quickly allowing you to make a lovely hat in an evening. Round and round you go, working two colors in tandem. This styling hat is warm and fun. Light and airy, this bandana is great for working in the garden or playing in the sun. Fun and simple, the crochet cotton #10 is lightweight allowing it to be worn even on the hottest day of the summer. This is a great project for craft fairs as it works up quick. 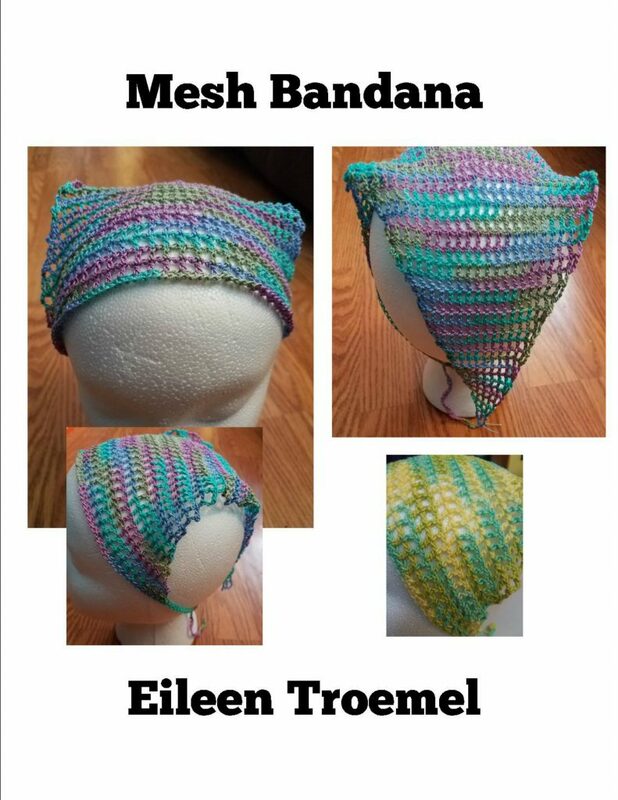 Working in the garden, going to the beach, on a hike, or reading a book, this bandana is lightweight delicate and beautiful for wear year round. It’s a great accessory for the active person. 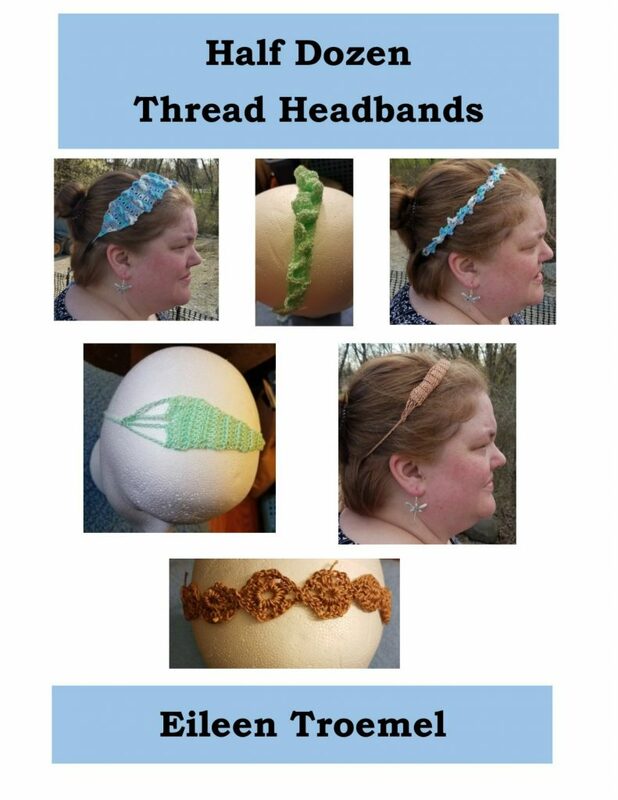 Half dozen thread headbands offers lightweight quick projects. These headbands are sassy, fun, and quirky. Each one can be completed in an evening. Shapely – Join as you go, this lightweight headband is quick, fun, and breezy. Tubal – A three dimensional headband has a touch of whimsy. Asymmetrical – Flirty, light, and fun, this headband adds a touch of fun to any outfit. Lacy – Lacy Headband is sweet, light, and romantic. 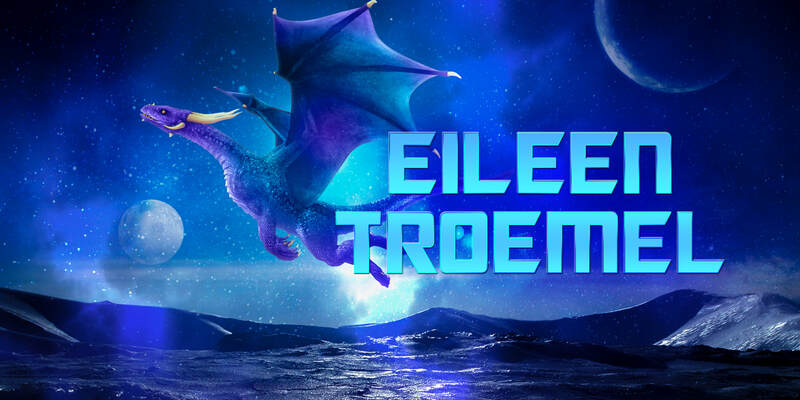 Dragon Scales – Feeling as fierce as a dragon? A three dimensional headband with a touch of fire from the dragon scales. Crocodile Broomstick – Combining crocodile stitch and broomstick lace, this three dimensional pattern compliments the lacy rows. Half Dozen Headbands features quick and easy headbands for a variety of weather. Each offers a unique and fun option. These patterns are great for using scraps and leftovers. They take little time to create and can be made to fit child or adult. 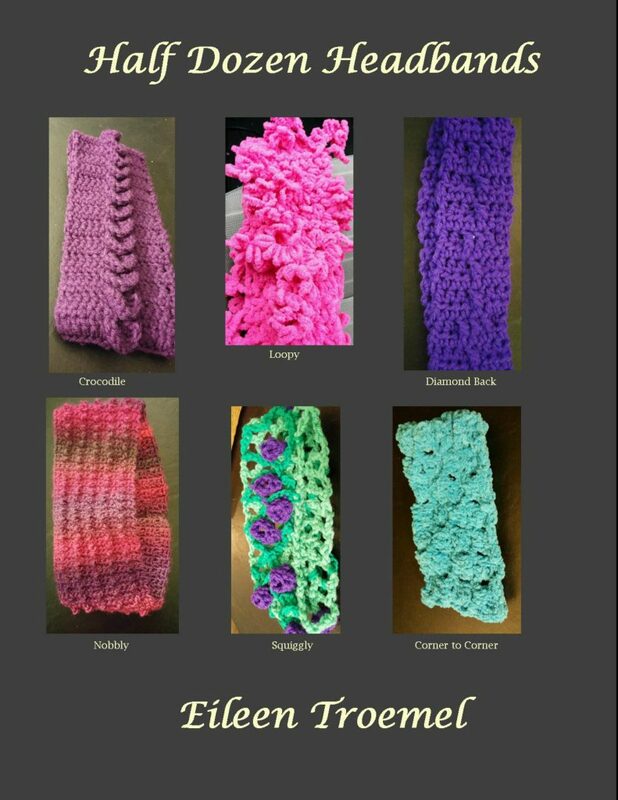 Keep warm and beautiful with these six headbands.